How does the German mortgage market work? The German mortgage market is facing a complex period with increasing competition and a smaller population that is eligible for a mortgage because the country is rapidly aging. Of the more than 82 million inhabitants, 50 million in the age group are 20-64 years old. But in 13 years, in 2030, there will be only 34 million Germans who are young enough to receive a mortgage. Although Germany is the largest mortgage market in Europe after the United Kingdom, the German housing market is different from the rest of the EU market. According to Ilse Helbrecht and Tim Geilenkeuser from the Humboldt University in Berlin, the Germans feel much less committed to their own house than the British, Italians or Spaniards. Only slightly more than half of the families own the house in which they live. The main reasons for this are a large range of affordable and high-quality rented apartments and a tax system which is not preferred by tenants. Some provinces have set up incentive schemes for first-time buyers, but they are small businesses. Mortgages are offered by banks for clients with adequate credit ratings, upon completion a land charge is entered into the land registery. The German housing market is characterized by calmness. Between 2003 and 2006, when the housing markets exploded in Europe – Spain, Greece and Ireland recorded between 132 and 153 per cent rising mortgage volumes – mortgages in Germany rose by only 5.9 per cent, the lowest growth rate in the EU as a whole. And during the financial crisis, the mortgage market in Germany remained stable, as did house prices, which in the past had not moved much. It is only in this decade that rental prices and purchase prices have risen in Germany: since 2010, the average purchase price of a house has risen by 22 percent. According to analysts, Germany is building too few apartments while the demand for housing increases. In the coming years a little catching up is expected. In conjunction with historically low mortgage rates (about 1 per cent for a mortgage with a loan value of less than 60 per cent and a ten-year interest rate), this means that the mortgage volume can also rise, but this must be fought hard by the mortgage companies. 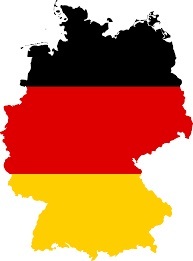 The German mortgage market is strongly localized. The local savings banks are key players and own a third of the market. Cooperative banks, like major banks, have a quarter of the market. The German branch of ING has a market share of around 7 percent. Due to the strong position of the local banks, the national mortgage banks have an eye on what is happening in the region – and interest-rate subsidies are also granted to attract more customers. This works because the (independent) mortgage consultant is on the advance. The Germans have traditionally gone to the house bank to borrow a mortgage, but are looking more and more around them. Analysts therefore expect a further increase in competition. The consultants receive a fee from the mortgage lenders, but must make this transparent to the customer. Consultants who demand a fee for their services from the home shoppers cannot receive any compensation from the lender.